Have a question about how to do something in the datafiles? Ask it here, we'll help if we can. NOTE: We cannot teach you how to use ABCREATE or how our files work, we don't have the time. 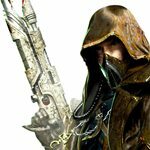 I've worked with ABCreator in the past to write some armies like Adeptus Arbites and Genestealer Cult before they had an official Codex. So I have a good idea of what to do, although the data files are a bit updated since the last time I did major work with it. Now, however, I am trying to make some lists, and it seems that the point costs from the Chapter Approved 2018 are not in the data files. For example, a Helbrute is listed at 72 pts in the data files, and 60 in CA2018. So, I started going through the data files and cleaning up the point costs. At this point I have Chaos (Marines only) cleaned up, and mostly done with Space Marines. Is there a way for me to upload my data files so that the current devs can continue after I've updated the costs? It's a lot of work, and a shame to just delete it when a new version of the datafiles is released. Bear with us for one more week... I'm overdue on two Codex updates and the CA 2018 stuff is all in there including new Sisters. *facepalm*... what a time for me to decide to get on it, heh. Okay, I'll wait... let me know if there are any of the .dat files that you're not working on and I'll do some fixes on those. 2: The swSgtWGPLT unit has the "Is Effective" check box on it, which means that it counts against the pack's 5-Long Fang maximum. So you can only take it with 4 Long Fangs at once... remove the check, and you can add him to a 5-Fang squad (plus the normal Pack Leader). I *think* I fixed that back, that was an abortive method to fix the Grey Hunter problem "10 models = 2 specials can be 8GH, GHPL and a WGPL"
Edit: Yep, it works right. The LF WG termie even gets heavy weapons so I fixed the one it points to. I run all armies except a few Xenos... Necrons and Orks, probably. But as a project, I can work on files for an army that I don't use. I'd be more likely to catch errors for an army that use often: any Chaos, Space Wolves, possibly Dark Eldar, but if there's a file that nobody updates normally, I don't mind working on it even if it's not for an army that I use normally. Let me know how I should get started working on it, and I'll start. Note that it is referencing a swSgtWGPT, which is a NORMAL Wolf Guard Terminator Sergeant, not the one that is specifically for Long Fangs. So when you select the Terminator Sergeant, the power level is supposed to go up by 3, but it doesn't since the unit you select is actually swSgtWGPLT. 2: In the swSgtWGPLT unit, in the Other Details section, it has the "Is Effective" detail checked on. This turns it into a part of the unit as far as the unit count is concerned, thus taking up one of the Long Fang bodies... so, if you add a Wolf Guard Terminator Sergeant to the Long Fangs, you can only have 4 of them with heavy weapons now instead of 5. Deselecting that check box in the Is Effective box fixes this, and allows you to take the Termie together with 5 heavy weapons, which is correct. And it shouldn't affect any other unit, because no one else should be using the WGPLT option, since those weapon options are unique to the Long Fangs sergeant. Edit: Yep, the post link is wrong.. Its fixed for the next edition.